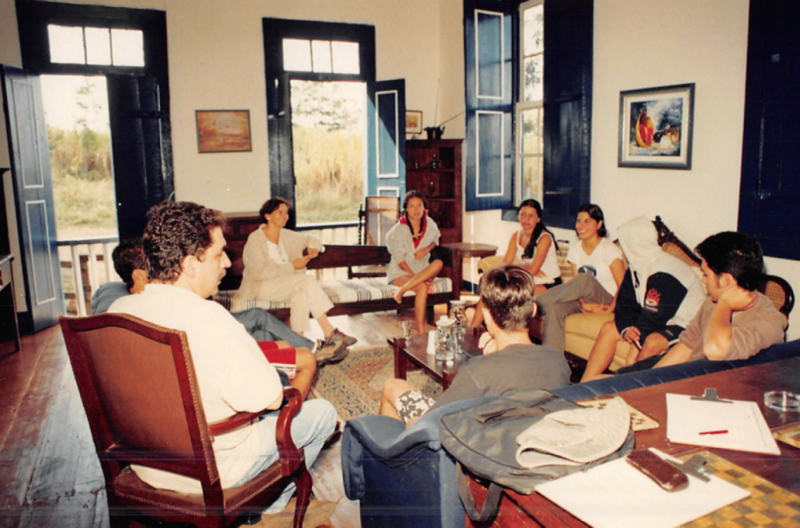 In 1997, a year after the results of the Hoasca Project research were published, the consumption of the Hoasca Tea by minors was explicitly discouraged by the Federal Council of Narcotics (Conselho Federal de Entorpecentes – Confen, in Brazil), with no scientific basis. The Beneficent Spiritist Center União do Vegetal addressed the Office of Public Prosecution (Ministério Público) on the subject. The agency then requested scientific research to be done about the effects of Vegetal on minors. The scientific investigation began in 2001. Professor Dartiu Xavier da Silveira from the Federal University of São Paulo, a physician who holds a PhD in Psychiatry, and a consultant of the Health Ministry in Brazil, explains that members of the UDV have claimed that the Tea, used within a religious context, is harmless to the development of adolescents. As the co-author of the research Hoasca in Adolescence, he states that “Even though that has been acknowledged for a long time, there has been no scientific study that has really assessed if it is true rather than just an unsubstantiated belief”. Luiza Nunes Alonso, a professor who holds a PhD in Education further states: “We wanted to assess if there were any consequences of the prolonged use of Ayahuasca by adolescents in terms of their affective and cognitive functions”. To perform the analysis, two groups were formed, consisting of 40 teenagers between the ages of 15 and 19. The first group consisted of participants who had consumed the Tea in the past through the UDV and the second group of participants who had never consumed the Tea. Nevertheless, both groups were very similar on other aspects. During the research, it was found that 97.5% of teenagers of the UDV mentioned that the experience with the Tea had a positive and strong influence on their future. Dartiu Xavier summarizes this: “qualitative tests were made to evaluate values and beliefs of the adolescents, their general health conditions, both physical and mental (including substance dependence) and some cognitive functions such as memory, attention, concentration and learning abilities”. The results, which were published in the Journal of Psychoactive Drugs (2005), pointed out that teenagers of the UDV showed physical and mental development similar to the comparison group. The conclusions also suggested that the ritualistic consumption of Hoasca could have a protective effect against drug abuse during adolescence. According to Luiza Alonso, “in terms of difference, groups in the UDV had higher levels of cooperation with household tasks”. She further emphasizes that “Something else also draws attention: they have more interaction with their fathers. Even those who don’t live in the same house have a closer relationship with their father. The father is not an absent figure”. In one of the reports the authors conclusively state: “no evidence of harm caused by ayahuasca was found in teenagers who partake with their families in ceremonial rituals”. Dartiu Xavier reflects by saying, “I have learned so much during this research, having contact with these teenagers (of the UDV)”. He also emphasized that “The entire group of researchers was delighted with them: they were creative, showed outstanding performance in their studies, had an excellent connection with people and were very affectionate”. The physician Glacus de Souza Brito, PhD in Immunology, mestre in the UDV and then Director of the Medical Department of the UDV (Demec), reiterates that the objective of the research is not to prove that teenagers in the UDV are better than others, but to show that the Tea is harmless to them. Dr. Glacus concluded that “The real meaning of this study is to simply confirm the word of Mestre Gabriel, that the Tea is truly harmless to the health”.